J30 SAILBOAT 1981 , SAIL # 312 EQUIPMENT LIST New Yanmar Diesel engine model # 2YM15C with antifreeze heat exchanger New transmission new YANMAR control panel with tachometer, hour meter, alarms for low oil pressure, high engine temperature battery and new wiring harness. New motor mounts & exhaust hose with new fuel tank gauge Installed 2007. New Chain Plates, SS bolts, deck repair with West System and Bedding 2014. Removed Jib and Genoa fairlead tracks, drilled out holes, filled with West System painted white 2 part epoxy and re-drilled holes and bedded with 3M5200, 2014. New Harken winches 4 two speed Self-Tailing, installed 2010 New Harken winches 2 single speed for haylards, installed 2010 New Harken Roller Furler with new fore stay S.S. installed 2008. New Harken Windward sheeting traveler system installed 2009. Six New S.S. hand holds installed in the main cabin 2008.. New Raymarine ST60 Speed installed 2008, working good. New Raymarine ST40 Depth installed 2008, working good. New Lowrance 5 in. GPS Chart Plotter 2008, working good. New standing S.S. rigging in. uppers and lowers with new spreaders installed 2010 New main & genoa halyards installed 2009 New spinnaker halyard installed 2013. New forward Lewmar Ocean Series hatch with screen installed 2009. New small hatch Lewmar Ocean Series over head installed 2009. New electrical panel Blue Sea Systems with 13 circuits and digital volt meter. Installed with new wiring to batteries and lights 2009. New Navigation lights LED port and starboard & stern standard light 2009. Mast head Navigation, anchor light & spreader foredeck light work good. New four cabin lights installed 2009. Secondary electrical battery meters work good. Two new batteries installed 2012. The Four cabin window can open when wanted for good ventilation and seal good when closed. All Safety Stanchions repaired or replaced and new safety lines. 2010. New Safety boarding gate on Port side. 2010. Now two port and starboard. New Dodger blue Sombra material with S.S. tubing, can be removed easily, 2012. Cockpit Bimony blue, removable 2009. New dual battery charger, Charge Pro, installed 2012. New Harken Lazy Jacks installed 2009. Boom Kicker installed 2009 New J30 Boom complete with outhaul & Jiffy Reefing installed 2010. New Harken Genoa & Jib Adjustable fairlead Cars (2) 2010. New Marine Stereo with CD player with speakers with water proof enclosure installed 2010. New wooden Folding center Cabin table, can be lifted out, 2009. Microwave oven works good. 2009 120 VAC 5000BTU air conditioner works good. 2009. New TV, LCD High Def. with wall mount & HD antenna installed 2010. New Magma propane grill with cover and rail mount 2010. Never used. New propane storage bag. 2010. New Non-Pressurized Alcohol single burner Stove 2009. Used Once. I do not like it. Poor heat. Tiller Pilot and tiller fitting work good. New Tiller & tiller cover 2009. Spare Tiller in boat. New EA handle grip adjustable length tiller extension 2010. New FlexoFold Prop. With Positive gear blades 2010. New Cutlass Bearing 2011. Prop shaft seal packing replaced 2011. Four person Emergency Life Raft in good condition. Anchor Danforth with 10 ft. chain & 200 ft. line. In good condition. Two new anchor line bags, with spare anchor line. Cockpit halyard line bag and stern bag over engine control panel 2012. Stern Telescoping boarding ladder S.S. installed new 2009. Three Fire Extinguishers in two new 2013. Safety Flares in good condition. Stainless Steel nylon covered safety jacklines 26 ft. each side. 2008. New Rudder Class legal Oct. 2013, painted with Interprotect 2000E and Pettit Trinidad SR anti-fouling paint each 2 coats and polish. First Aid Kit. Yellow horse shoe man overboard ring, stanchion bracket and line 2007. Man overboard pole and flag. New man overboard life sling & rail mounting bag 2011. Four vest type life jackets. USCG approved. Four pull over life jackets. USCG approved. New Rule Automatic Bilge Pump with control switch & fuse installed 2012. New Standard Horizon Fixed mounted VHF installed 2012. Existing manual Gusher bilge pump works good. Added special PropSpeed paint preparation to Flexo-fold folding prop. And prop. Shaft in April 2013. PROP Works GREAT keeping growth off and folding smoothly. New galley manual Whale foot pump installed 2009. New manual hand pump for sink in head installed 2010. Raritan PHC manual head rebuilt with new parts, works good 2011. Barometer Brass on main bulkhead in cabin 2009 Clock Brass on main bulkhead in cabin 2009. All thru hull fittings in good condition. Three large bumpers and 4 smaller bumpers with 7 dock lines in good condition. Two Boat hooks aluminum. One is adjustable. Many spare dock lines. SAILS LIST UK/H Mainsail Dacron with slugs new 2011 in new condition. Fast Sail. UK/H Jib 100% Dacron fits roller furler (R/F) 2010 in new condition. Fast Sail North Sails Jib 100% Dacron fits R/F in Good condition. 2005 CCSails Jib 90% Dacron fits roller furler 2007 in New condition. CCSails Jib 80% Dacron fits R/F 2008 in New condition. Banks Sails Genoa 150% Pentex fits R/F 2007 in Good condition. North Sails Genoa 165 % Dacron 2006 in fair condition. Owner has never used the sail. Too much wind in Corpus Christi! North Sails Genoa #2, 140% fits R/F in fair condition. North Sails Genoa #2, 140% fits R/F in fair condition. CCSails Mainsail Dacron with slugs with repairs in fair condition. North Sails Mainsail Dacron with slugs CUT DOWN to first reef points, fair cond. CCSails Mainsail cover in good condition. North Sails Spinnaker 1.5 oz in good condition. North Sails Spinnaker .75 oz in good condition. Spinnaker pole aluminum with new rigging 2010. Spinnaker halyard & spin. Pole (up & down) controls at the mast. 2010 Harken mainsail Cunningham controls 2009 Harken boom Vang in good condition. 2007 Bottom Job and new Pettit Trinidad SR antifauling paint May 2013. Harken mainsheet blocks and line 6 to 1 purchase in good condition. 2013. Harken spinnaker stanchion Triming blocks with jam cleats and control lines 2009. Genoa sheets two sets (black & white) and spinnaker sheets in good condition.. Two yellow diesel fuel jerry cans in plastic 5 gals. Each. 2009 Many paper charts of Gulf of Mexico and around Corpus Christi north to Houston & south to Port Mansfield, TX. 2009 & 2010 Fifty ft. 120VAC shore power cord 30 amps. In good condition. New Male 30 amp. 120 VAC connector with new cover installed in cockpit 2010. Three double 120 VAC plug in main cabin. On Cirt. Breakers All working OK. Spare Yanmar engine parts and tools. Yanmar engine manual. Two winch handles Air Horn, Brass Bell Cabin cushions in Good condition. Forward double cushions, 2 quarter berth cushions have been stored off the boat in owner's home. Sun Shade unit for over the boom in cockpit that owner uses at dock or anchor in blue. Wooden Oar long shaft for Emergency rudder if needed 2009. Fire & CO gas detector installed in main cabin near the engine. 2011. New main cabin bunk Lee Cloths installed Oct. 2013. New varnish on main cabin and head floor June 2013. Installed NEW Class Legal rudder June 2013. Moved Harken Traveler to standard position at front of cockpit June 2013, new SST bolts and bedding. Added new higher foot stops on port and starboard side of cockpit seats, June 2013. Work GREAT. Removed 2 jib and 2 genoa tracks, drilled out holes, filled with West System, sanded , cleaned track area, painted area under tracks with Pettit 2 part epoxy white paint, re-drilled holes, added new bolts where needed and bedding holes with 3M4200 sealer. May 2014. Sanded & cleaned, cabin top, cabin sides, deck, cockpit, painted some trim areas, cabin sides and inside cockpit with Pettit 2 part epoxy paint 2 coats. June 2014 Painted rest of deck with KIWI-GRIP nonskid paint. Three gallons of paint used. Most areas 2 coats. July & Aug. 2014. The owner continually updates and adds quality enhancements. As seen from the pics, the owner has some "punch list" clean up items as a result of applying the KIWI-GRIP product. Nothing some steady TLC can't resolve. This awesome J30 has sailed in two REGATTAS this year, and the owner races her usually twice a month. If the owner were to keep the boat, he would plan on replacing the hose containing the rope packing gland that encases the prop shaft....he says he would do this sometime in 2016 or 2017. Otherwise, this boat is sail-ready! This boat, per the owner, is and remains ready to sail! Stock #046356 She Loves to race...she especially loves to win !! If you are in the market for a racer, look no further than this 1981 J Boats 30, just reduced to $22,350 (offers encouraged). 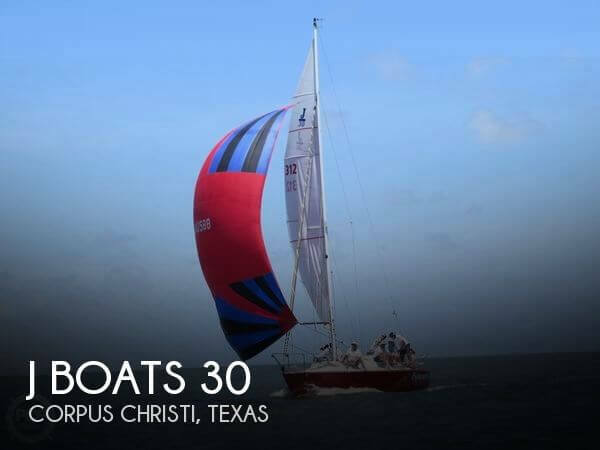 This sailboat is located in Corpus Christi, Texas and is in decent condition. She is also equipped with a Yanmar engine that has only 74 hours. 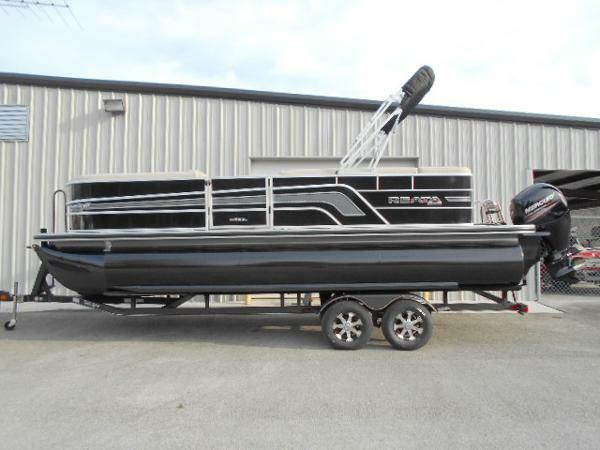 2010 Triton 177 Explorer THIS USED BOAT PACKAGE INCLUDES: 2010 TRITON 177 EXPLORER DC, 2011 MERCURY 150 XL OPTIMAX, 2012 MERCURY 9.9 EXLPT PRO KICKER, MARINE MASTER CUSTOM BUNK TRAILER, SPARE TIRE, ADJUSTABLE HEIGHT BIKE SEAT, DRIVER AND PASSANGER SMOOTH MOVE SEATS, RATCHET TIE DOWNS, MOTORGUIDE FW-FB 71LBS CABLE STEER TROLLING MOTOR, LOWRANCE HDS 5 FLUSH IN BOW, LOWRANCE HDS 8 CONSOLE W/RAM MOUNT, DEEP CYCLE AND STARTING BATTERY. CALL MARINE SALES @ 920-788-0220 FOR YOUR BEST DEAL! 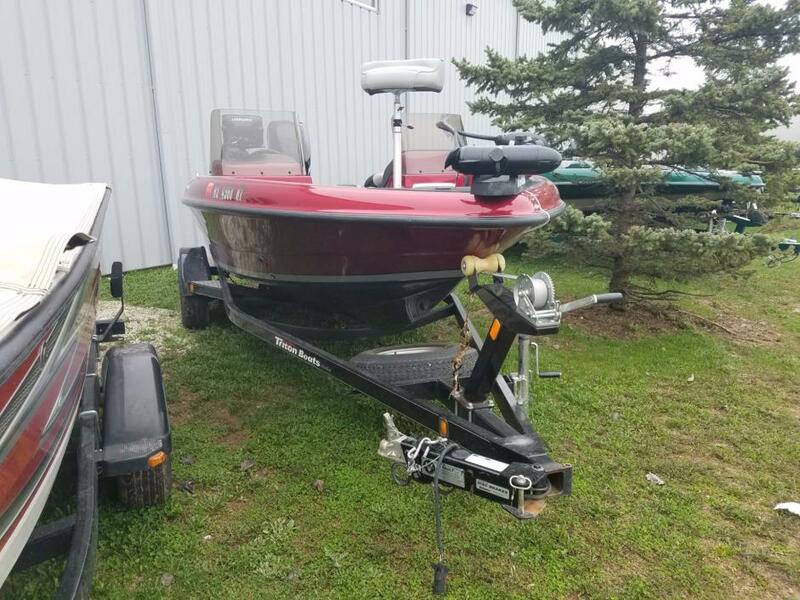 1995 LUND 1700 PRO ANGLER DELUXE WITH 4-STROKE KICKER! 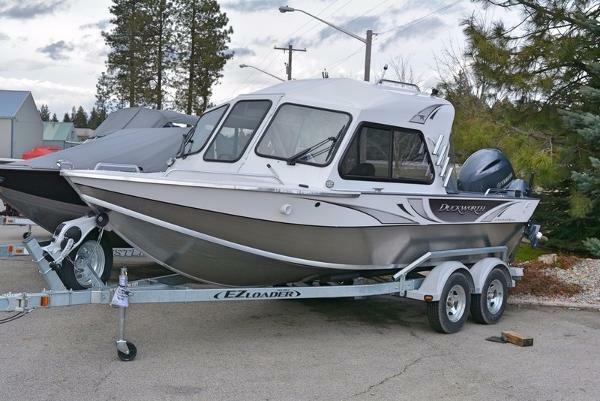 A 70 hp Evinrude outboard with power trim and oil injection powers this nicely equipped aluminum deep-V fishing boat package! 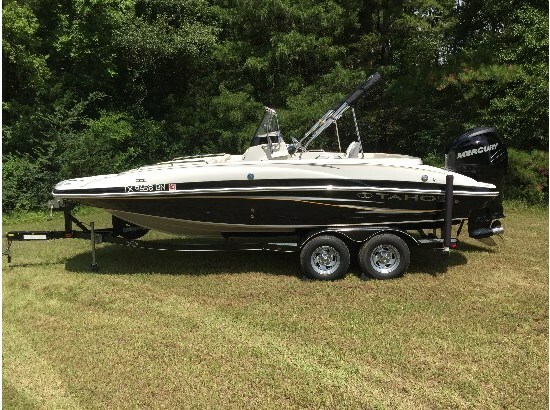 Features include: storage cover, Mercury 9.9 hp 4-stroke kicker, side console w/windshield, Lowrance Globalnav 310 GPS/fish finder, Eagle Optima depth/fish finder, MinnKota Power Drive 55 lb thrust 12-volt trolling motor w/AutoPilot and battery condition gauge, Raytheon VHF marine radio, gauges including; tachometer, speedometer, fuel, and trim; navigation/anchor lights, bilge pump, electric horn, raised bow fishing deck, (2) bow storage compartments, bow aerated livewell including; manual, and auto fill; bow bike seat, (3) movable swivel fishing chairs w/4 floor bases, port & starboard rod storage compartments, (6) adjustable rod holders, beverage holders, (4) stainless mooring cleats, stern battery storage, marine cranking battery, deep cycle trolling motor battery, fire extinguisher, and 5 person carrying capacity. Also included is a TrailMaster bunk trailer including; 14? wheels, spare tire w/mount, centering guide bunks, swivel jack, and tie down straps. The package is in very good overall condition with normal wear. There are minor cosmetic scuffs/scratches on the exterior and minor carpet wear (see pics/video). The boat has been inspected by our factory-trained technicians and is mechanically sound. Trades will be considered and delivery and competitive financing rates/terms are available. Leaders Marine is one of the largest marine and motor sports dealers in the Midwest with over 70,000 sq ft of showroom, parts, and service under one roof located in Kalamazoo, MI. Price is plus sales tax/fees and is subject to change without notice. For more information, please call toll free 866-572-1051. Additional photos and video are available at www.leadersmarine.com.